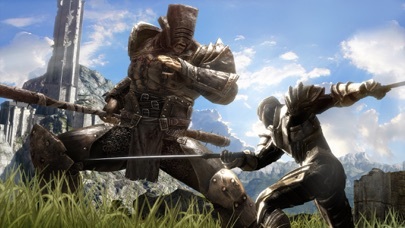 Infinity Blade a fost primul joc din seria Infinity Blade, facut de EpicGames, in colaborare cu Chair Entertainment Group, LLC si lansat in 2010. 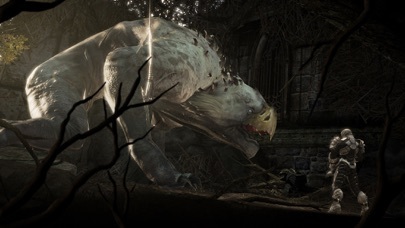 In primele patru zile, prima versiune a Infinity Blade a fost vanduta in peste 270.000 de exemplare, aducand peste 1.4 milioane $. Aceste recorduri au facut-o “cea mai rapida aplicatie aducatoare de bani” lansata vreodata pentru platforma iOS, la acel moment. 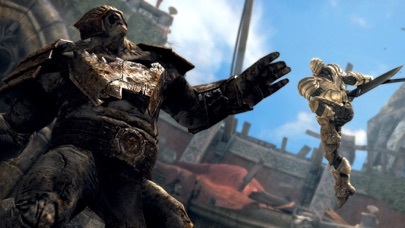 Un an mai tarziu, Infinity Blade II urma sa fie lansat, aducand un nou record de vanzare si venit companiei EpicGames. In acest joc, ca si in predecesorul sau, jucatorul “exploreaza” lumea prin ochii unui caracter care poate fi inarmat cu diverse scuturi, armuri si arme medievale. 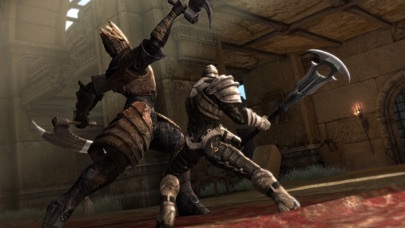 Infinity Blade II are grafica speciala pentru the New iPad, facand gameplay-ul mult mai interesant pe aceasta tableta. Desigur, jocul e disponibil si pe iPad 1/2, dar experienta pe care o traiti nu se compara. Pe parcurs veti putea infrange multi inamici fie prin forta bruta, fie prin “siretlicuri”. Acest joc o sa va tina ocupat cel putin doua-trei zile, daca il veti juca incontinuu. 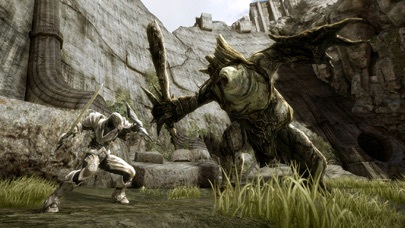 Infinity Blade II este disponibil in AppStore intr-o versiune universala, atat pentru iPhone/iPod cat si pentru iPad, la pretul de 5,49 €. 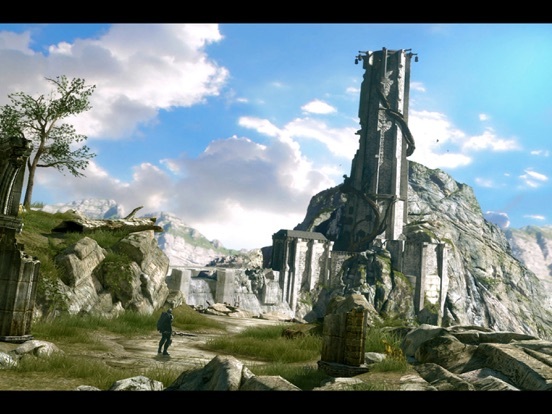 The award-winning Infinity Blade story continues! The God King has been defeated, an unlikely hero has emerged and now you must discover the truth behind the secrets of the Infinity Blade. The continuing journey of young Siris unfolds as you delve deeper into the world of the Deathless tyrants and their legion of Titans. Can you unlock all the mysteries and successfully wield the power of the Infinity Blade in this timeless swordplay adventure of champions and villains? 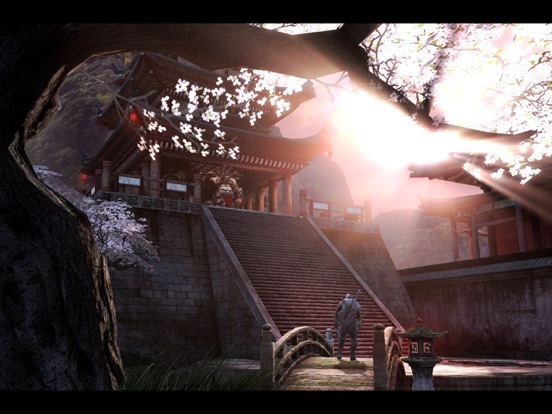 Explore beautiful and immersive environments that dynamically change over time during your travels and venture to exotic locations such as the Asian themed Saydhi’s Estate or the medieval inspired Vault of Tears featuring multiple paths to explore. Now you can choose from multiple classes of weapons, armor and spells, each with specialized capabilities such as Dual Wielding, Two-Handed and the standard Weapon & Shield class. 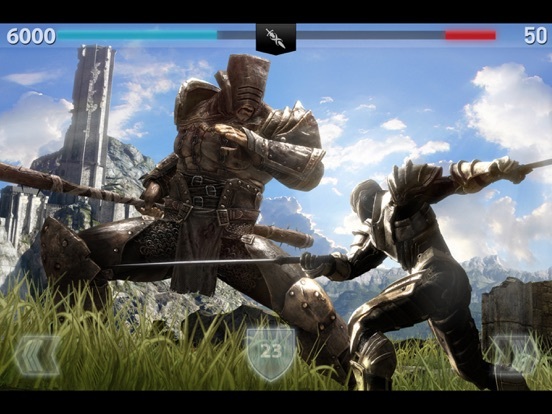 Learn each discipline by using Infinity Blade II’s intuitive pick-up and play game play style that is easy to use, yet difficult to master! Create and forge even more powerful weapons with mystical objects you discover and collect along your journey, expanding your overall arsenal with all-new elemental powers & capabilities! Jump into ClashMob, an innovative new gaming experience that allows you to earn rewards by participating in massively social, asynchronous global challenges. Post your progress to Facebook and Twitter feeds and recruit friends to your own “Mob” to earn special perks, unlock new achievements, and gain rewards! Note: The ClashMob feature is free and optional and will require you to log-in via your Facebook account. 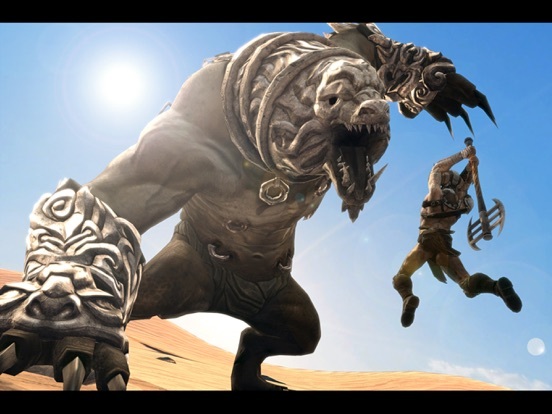 Delve deeper into the fantastical story of Infinity Blade as your journey leads you to the realm of the mysterious Deathless Saydhi and discover the truth about the Worker of Secrets and the powers he holds. The definitive visual experience in mobile gaming, complete with all-new iCloud support and HDMI output. 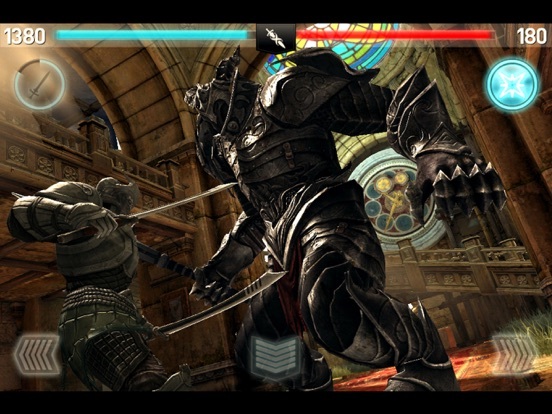 Play Infinity Blade on iPhone 3GS, iPhone 4, iPhone 4S, iPad, iPad 2, the New iPad, iPod Touch 3 (16 GB and above), or iPod Touch 4 for a single low price. – It is highly recommended that you upgrade your device to the latest iOS version. – Parents: you can turn off In-App purchasing in the iOS settings. – The ClashMob social networking feature is free and optional, and will require you to log-in via your Facebook account.